Immigrants and their supporters marched outside the White House, protested outside Trump Tower in New York City, and prepared to rally in cities across the country on Tuesday after the Trump administration announced it would end a program that has protected nearly 800,000 young people from deportation. 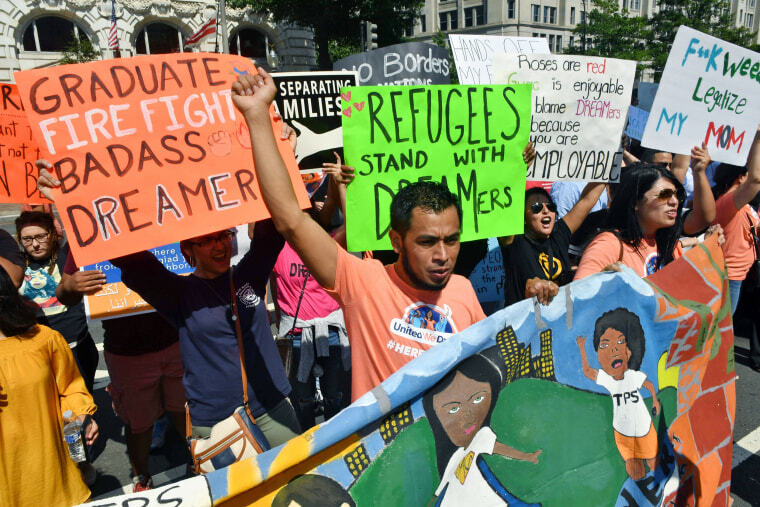 Chanting slogans ("Up with education, down with deportation") and brandishing signs ("Defend Dreamers"), scores of activists on Tuesday afternoon marched from the White House to the Justice Department, where Attorney General Jeff Sessions hours earlier had blasted the Deferred Action for Childhood Arrivals program. Among the demonstrators in Washington, D.C., and vulnerable immigrants nationwide, the grim news about DACA — the program will likely die unless Congress comes up with a legislative fix in the next six months — provoked anger and anxiety. "I'm scared because I don't know what will happen to me and my future," said Andrea A., 25, a Virginia nursing school student and DACA recipient who said she was too fearful of repercussions to have her last name published. "I don't know what's going to happen to me." In New York City, the president's hometown, protesters holding signs with handwritten messages ("Save DACA") blocked traffic near Trump Tower, with some linking arms and chanting, "Whose streets? Our streets!" Police arrested 34 people, most for disorderly conduct, authorities said. 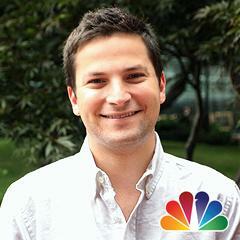 "We are a part of this country's fabric," DACA recipient Basi Alonso told NBC New York. "I have been here my entire life. "I've been paying my taxes. I went to school here. My parents work here," said Alonso, who was reportedly arrested at the rally. And students at several schools in Denver walked out of their classrooms in protest, and reports of similar walkouts in Arizona and New Mexico circulated on social media. "I was surprised by the decision," said Evelyn Mijares, 15, a junior at West Leadership Academy in Denver who left class. "It's like, why have so much hate against Hispanic people? "We're just trying to have an education ... It's sad," said Mijares, who is not a DACA recipient but whose father was recently deported. Protests, rallies and other pro-DACA events are expected around the country on Tuesday evening — including in Albuquerque, New Mexico; Racine, Wisconsin; and across southern California, home to a massive immigrant population. Suzanne Gamboa and Marissa Armas contributed.